So heres a quick insight into my workflow for the cover for Spotlight Performing Arts Summer Show programme. 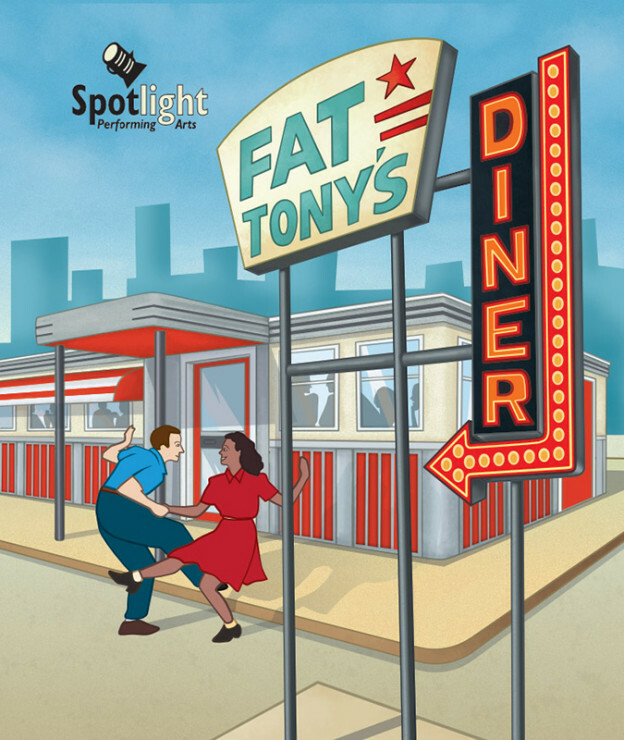 The show is set in a 50s American Diner called Fat Tony’s. 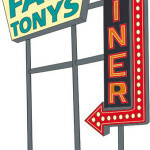 I didn’t know what the running order was so I decided to concentrate on the sign as the focus point that would also double up as the title with a diner in the background. Step 1: The first step was to look at reference material online via google. 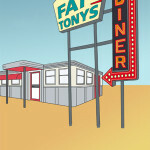 I created a folder full of diner, fashion and signs that would be useful. 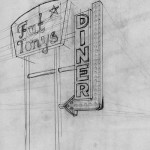 Step 2: Using the downloaded images for inspiration, I roughed out the look of the sign and diner with some notes on detail work to give the diner a 50s feel. I also decided on a colour palette that was based on posters and signs of the era. 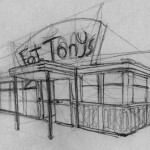 Step 3: Using 2 point perspective, I drew out the final sign and diner outlines separately and scanned in to computer. Step 4: Using my newly purchased copy of Affinity Designer, I outlined the artwork and added base colours. I then pixel painted the shadows and highlights where needed and built up a quick background. The gallery below shows some of these steps. 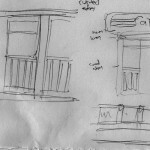 Next Next post: Redesigning the Website. Part one.